Anthrax is a severe infectious disease caused by bacillus anthracis. Signs and symptoms include vomiting, nausea, abdominal pain, headache, and loss of appetite, fever, severe bloody diarrhoea in the later stages of the disease, sore throat, and difficulty swallowing. Risk factors for anthrax include injection of illegal drugs, handling animal skins, and working in veterinary medicine, especially dealing with livestock. Global anthrax vaccine market is driven by growing threat of communicable diseases such as anthrax across the globe. Moreover cost-effectiveness of immunizations, new funding opportunities from government, donors, research foundations, advances in research and manufacturing technologies expected to drive market revenue growth of anthrax vaccine over a forecast period. 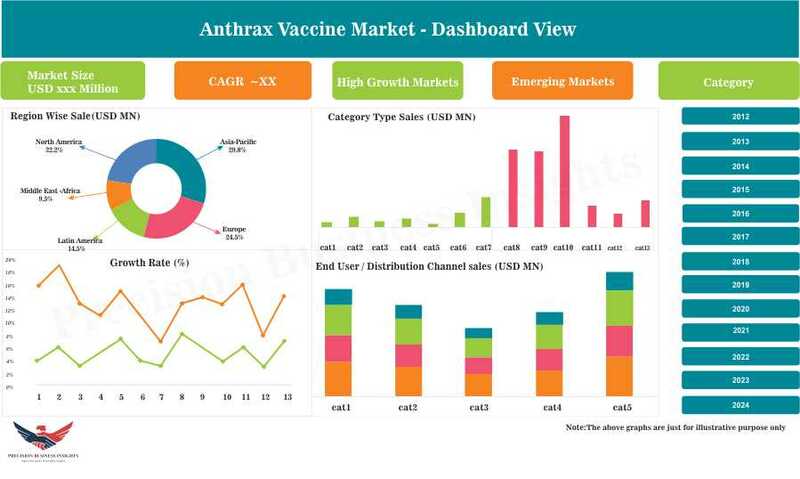 In addition, availability of large target population in emerging markets driving the growth of the anthrax vaccines market. However, lack of awareness, the high cost of the vaccine in under developed economies, lack of availability and affordability, stringent regulations are the factors which are restraining the growth of the market. Global anthrax vaccine market is segmented based on the type of vaccine, end user and geographical regions. The growing efforts and of interest market players in expanding the product portfolio related to anthrax prevention are expected to to impel the market growth over the forecast period. Growing government funding in the United States to generate and store sufficient vaccines against anthrax through various programs, such as Joint Program Executive Office for Chemical and Biological Defense, Biomedical Advanced Research and Development Authority (BARDA), BioShield Legislation and is creating market opportunities for the market players. One of the U.S. FDA approved products against anthrax is BioThrax, manufactured by Emergent BioDefense Operations Lansing LLC, for active immunization against anthrax. Geographically, global anthrax vaccine market is segmented into five key regions Viz. North America, Europe, Asia-Pacific, Latin America, and The Middle East & Africa. North America market expected to present better growth opportunities for market players owing to government initiatives to curb anthrax. 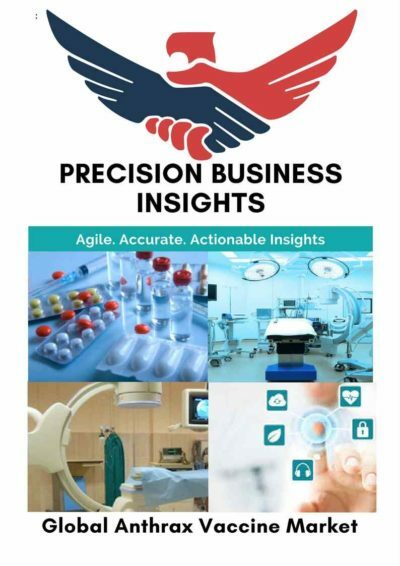 The presence of various ongoing programs under the organizations such as BARDA, HHSCDC, NIAID, ASPR, and the FDA is one of the key contributing factors for the revenue generation in North America region. Asia Pacific is expected to witness a significant demand on account of surging investments in the R&D sector. The extensive vaccine manufacturing facilities across Japan coupled with the presence of sophisticated healthcare infrastructure in the country is contributing to its strong market position. Some of the players in the anthrax vaccines market are Emergent BioSolutions (US), Elusys Therapeutics (US), Porton Biopharma Limited (UK), and Panacea Biotec (India) to name a few. In 2015, Emergent BioDefense Operations Lansing LLC received U.S. FDA approval for its BioThrax, a vaccine for Anthrax.